At the insistence of a good friend, I started attending the Partners in Community Forestry conferences a few years back. Over 500 people (planners, urban foresters, arborists, parks people, environmental policymakers, municipal leaders, researchers, educators, advocates, activists and enthusiasts) congregate. It quickly became apparent that there are multiple, potentially synergistic ways to connect with this allied movement and that Permaculture had some innovative approaches to offer. 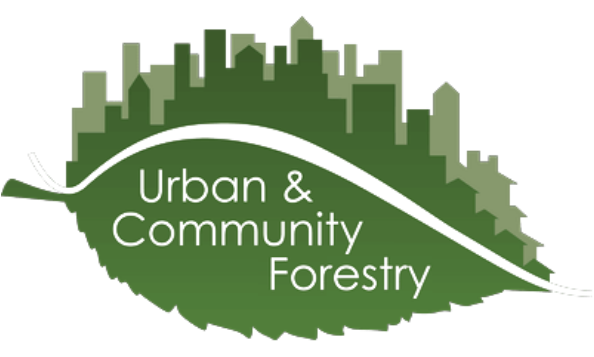 Urban forestry as a movement has been around for over a century in North America and is organized around the care and management of tree populations in urban settings and advocates for the role of trees as an integral part of the urban infrastructure. I attended countless panels, presentations, tours, discussions, many of which highlighted the challenges facing our urban forests today. Thoughtless and rapid re/development in our communities, coupled with global weirding (disease outbreaks, extreme weather events, etc. ), is largely responsible for canopy loss. At the root of this challenge, is public apathy or indifference around our urban forests. In many of the informal conversations I participated in with folks running the conference and many of the lead organizations, I kept asking “Why not food? Why not urban food forests?” The responses were varied, but it got people thinking. So much so, that last November the term “food forests” made it into the USDA National Urban and Community Forestry grant guidelines. Our non-profit, Earth Learning felt compelled to apply. We were one of four organizations funded nationwide, the other three were universities. What are the odds? Funders are DESPERATE for solutions that are innovative, sensible, leverage limited resources, can solve for multiple challenges, and might actually work. Sound familiar? For more information on the Community Food Forestry Initiative please see http://foodplaces.org.